MAY THE REAL PROPHETS STAND UP! AS the 2018 harmonised elections approach, the real prophets have been urged to reveal their prophesies about the next leaders now and not after the elections. Social media has been awash with calls from users urging the prophets to make their prophecies known before the announcement of the official results. He said fear is one factor that has engulfed men of God these days and are not bold to pronounce what would have been revealed to them. He said we are living in the days of technological advancements and such videos can be doctored and that cannot be ruled out. “God does not do anything on anything without revealing it to his children and he speaks through the prophets and when something is said it has to be made public but fear is one thing that has engulfed some respected prophets leading them into pronouncing ambiguous prophecies, subject to several interpretations. This has led people to doubt many prophecies especially when they are made known in the aftermath. “Why not be bold and state the things revealed to you before the event? We had prophets in the bible such as Elijah and they were bold in their pronouncements. He pronounced the drought before it happened not to wait for the drought to say God had told me,” he said. Bishop Jeff as the man of cloth is fondly known said not everything is revealed to the prophets and some end up using their analysis and opinion as prophecy. “Not everything is revealed to men of God and many these days use their analysis and opinion as prophecy. What has a football result got to do with the people? Some of these things are just analysis which is pronounced as prophecy. It was clear that on paper France was stronger than Croatia and that didn’t need prophecy. It is known that when a new political leader gets in power things change. “These days things can be doctored, the videos can be manipulated so circulating it after an event will not help the cause but will put the name of God into disrepute. If something is revealed to you, make it known before the event,” he said. Bishop Jeff said congregants are also to blame as they are being taken for a ride by not living within stipulations of the word of God. “Test the spirit, the bible is clear but some people these days are lazy to read the Bible and end up being gullible to accept anything that comes to them as prophecy,” he said. There have been cases of prophecies going wrong such as the Prophet TB Joshua prophecy that Hilary Clinton was to win the US presidential election. There were also reports that Prophet Eubert Angel was caught in a similar fiasco, prophesying that Liverpool were going to be crowned English Premier League champions and it did not happen. Of late some prophets have come out declaring a win for President ED Mnangagwa. These include vapostori from Johanne Marange. 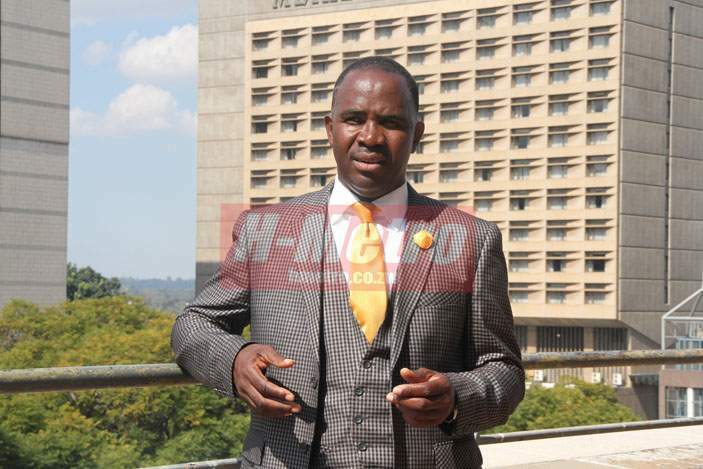 Controversial prophet Talent Madungwe also declared victory for President ED, saying God told him that ED still has a duty and mandate to fulfil for the people of Zimbabwe. Bhishop Jeff said “Church leaders should know that it is not an offence to say in my opinion this or that not to reveal everything as prophecy,” he said. Prophets have been urged to reveal the results rather than wait for August 5, the day of the official announcement of election results to circulate videos saying they had prophesied the outcome. This has been the trend over time that videos saying prophet so and so had predicted the outcome circulate after an event such as soccer matches, deaths of prominent figures or elections. Before the event, they will be silent and this has raised doubt among many people, questioning their authenticity.